The ultimate game of logical puzzles! Discover a game that has been acclaimed by many parents, teachers and children around the world. The principle is simple: place the nine geometric shapes in the grid in such a way as to respect the given clues. There is a unique solution for each puzzle. The game includes a booklet of progressive puzzles divided into 6 levels of difficulty. The cues are intuitive enough to allow young children to understand them. Year after year, they will be able to evolve with the game and acquire solid reasoning and logic skills at their own pace. 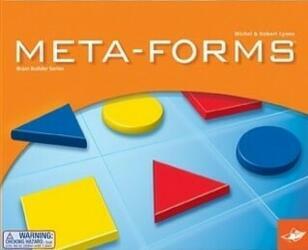 An educational game that develops the logical mind. Progressive level puzzles, offering a real challenge for all ages. Recommended by mathematics teachers. Contents of the box : 9 geometric pieces, 1 grid of 9 squares, 1 booklet of 80 puzzles and their solutions, the rules of the game.